Bonsai are often given as gifts around the holidays. Unfortunately, many of these trees don’t survive very long. In this blog I will cover some of the dos and don’ts about purchasing a bonsai as a gift, tell you where you can get quality trees, and give a little information on what to do if you receive one of these wonderful trees as a gift yourself. During the holiday season, little areas pop up in megastores and mall kiosks to sell bonsai (or “mall-sai,” as I call them). 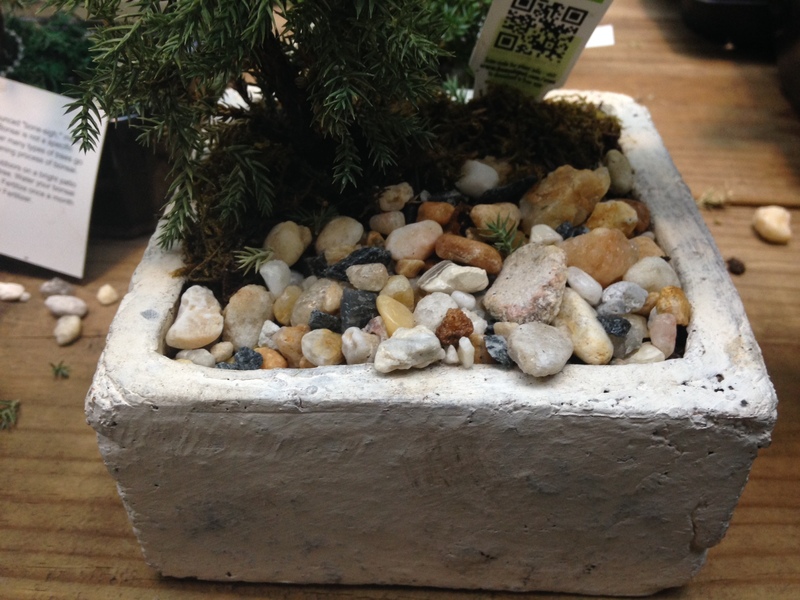 These bonsai are reasonably priced, cute, and seem to be a perfect gift for the horticulture enthusiast on your list. But before buying that little tree, there are a few things to consider. Often, a tree’s leaves will give you a good indication of its health. 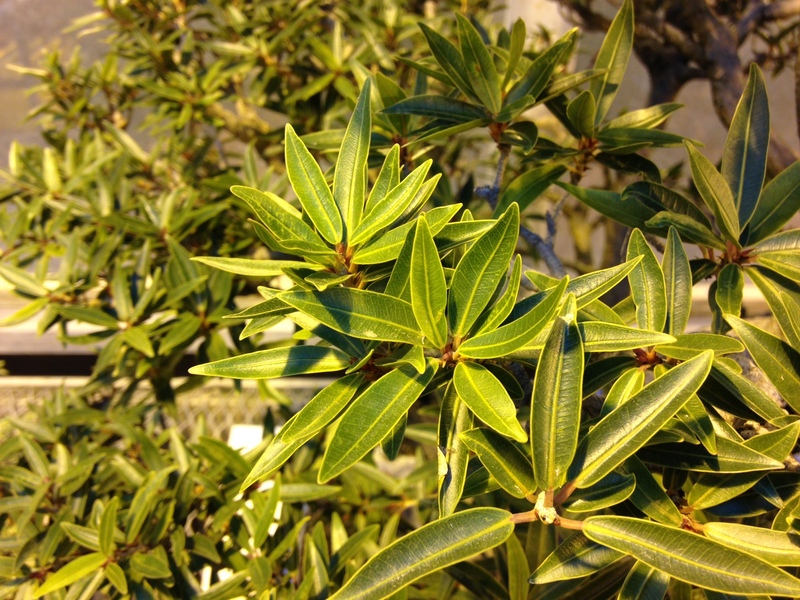 Waxy, shiny leaves and the indication of new growth are signs that the tree is healthy and actively growing. Dull, spotted, or damaged leaves are things to look out for. These may be indications a tree is unhealthy or stressed. Be sure to gently feel the foliage, especially on junipers. Junipers can stay green even after they have died off. If branches are brittle and dry, avoid that tree. It is also a good idea to feel the soil. If a tree is bone dry or standing in water, that should be a concern. Many of these trees are mass produced this time of the year. They are grown out in 3-inch plastic pots, removed, and placed in bonsai pots with the root ball untouched or wired down. Most trees are covered with standard potting mix instead of bonsai soil, which can retain too much moisture for many species. Often, rocks are glued to the surface for aesthetics, but they also hold the tree in place so they don’t fall out while the tree is being shipped. This is a lot of stress on a tree—especially in the winter. These trees are usually repotted in spring and often come from southern states. The changes in climate, humidity, and daylight may also contribute to tree stress. 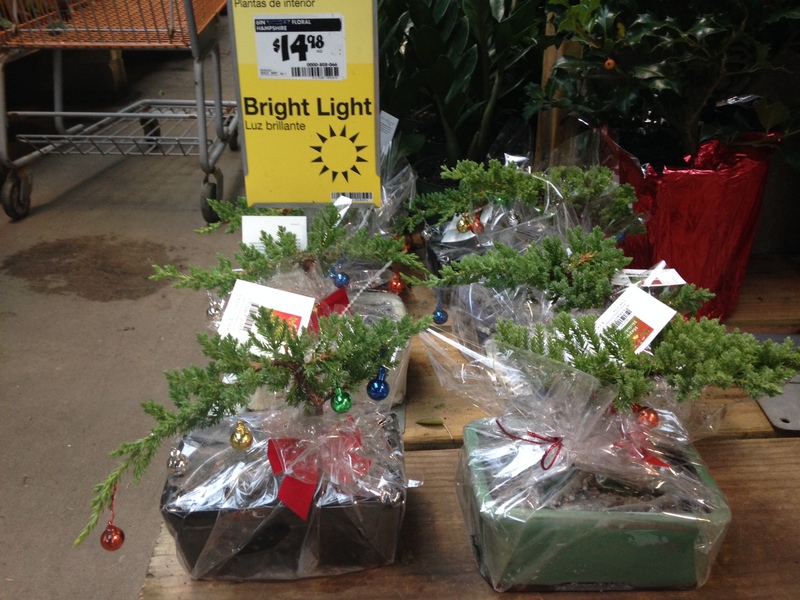 Many of these trees do well when purchased, but the added stress they go through increases your chances for failure. Buying a tree from a reputable nursery will increase the chances of success. Now that you know what to look for, and where to find it, let’s discuss a few of the more common bonsai species that work well for beginners. Among the most popular tropical bonsai trees are the ficus, due to their adaptability, vigorous growth, and many varieties. 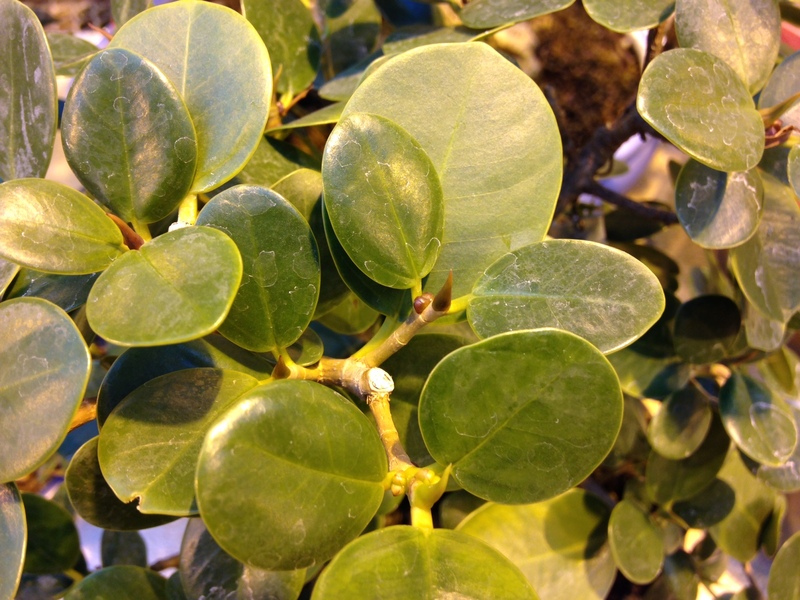 There are more than 825 different ficus species of evergreen trees, shrubs, and woody climbers. All of these trees should be kept indoors when temperatures are below minus 40 degrees Fahrenheit, and most prefer bright light and high humidity levels. In most cases, a south-facing window will work well. If your light is low indoors, additional lighting is a good idea. There are many kinds of supplimental lighting on the market so finding a size and shape that fits your needs should be easy. Our midwestern homes tend to be dry in the winter (due to heating), so misting your trees daily with a spray bottle is also a good idea. Doing this will increase the humidity and prevent leaf loss. Providing an evaporation tray is another good way to provide supplimental humidity. Avoid putting trees where forced air heat will blow on them. This will dry out the leaves and cause stress to the tree. 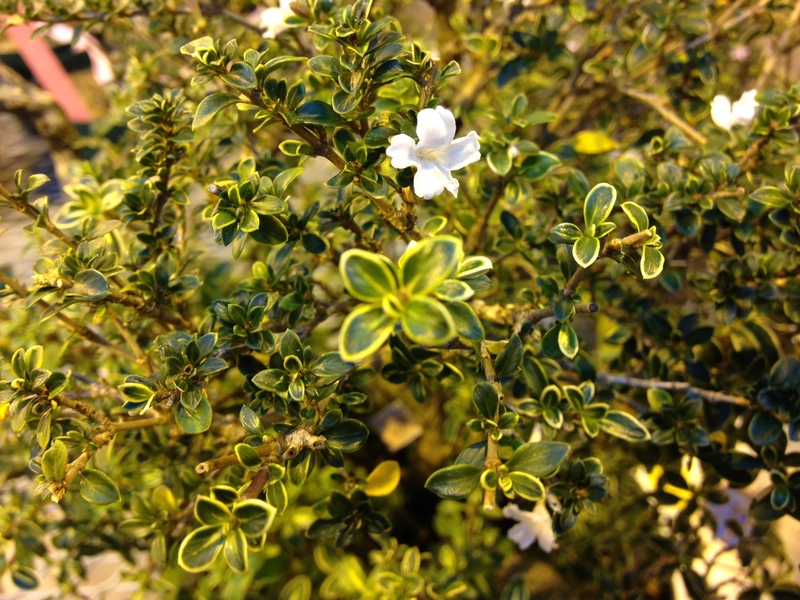 Snow rose serrissa (Serissa foetida) also make great bonsai. 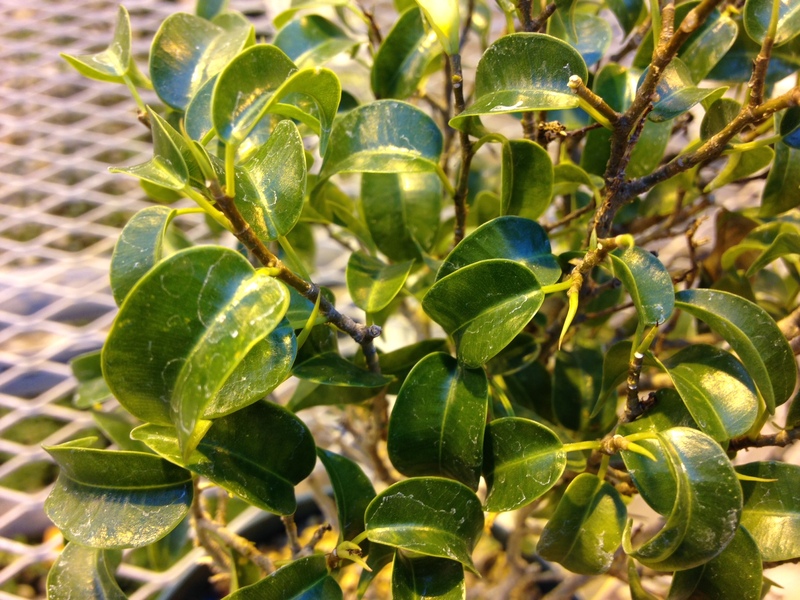 They have small foliage (some variegated), great bark, and produce little white or pink flowers. 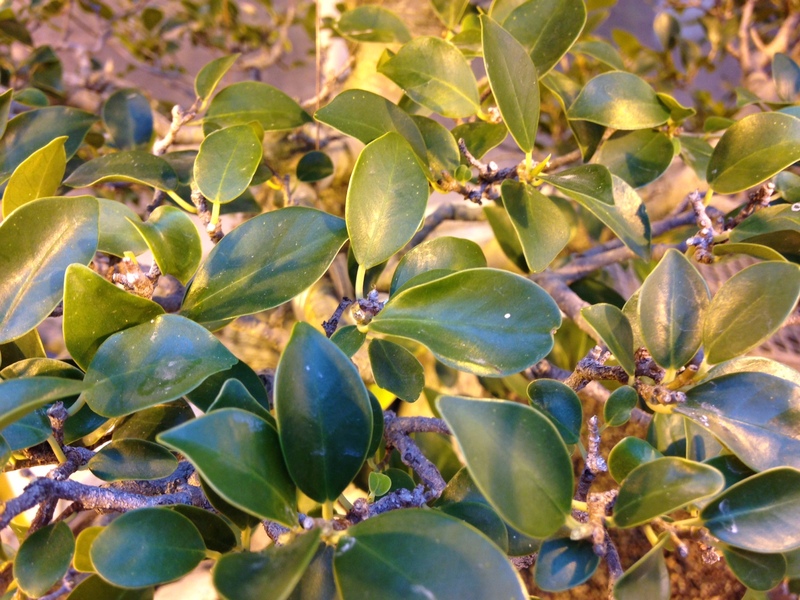 They are more sensitive to watering and environmental changes than ficus, however, so this tree might be better for someone who is a little more experienced. 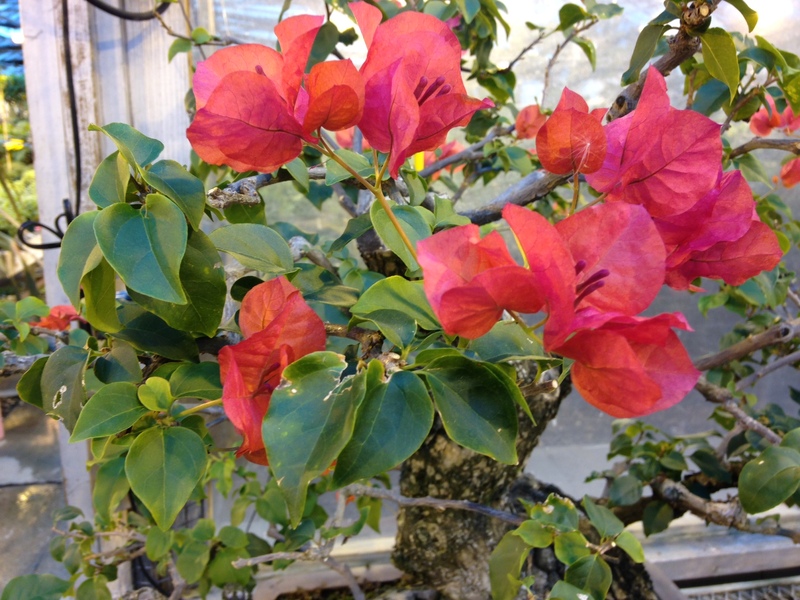 Bouganvillea are another popular bonsai species. They are best known for their paper-like flowers in a variety of colors. Though a tropical plant, they like a their soil on the dry side, since they live mostly in sandy soils. They take well to pruning, grow quickly, and will produce flowers all year long. 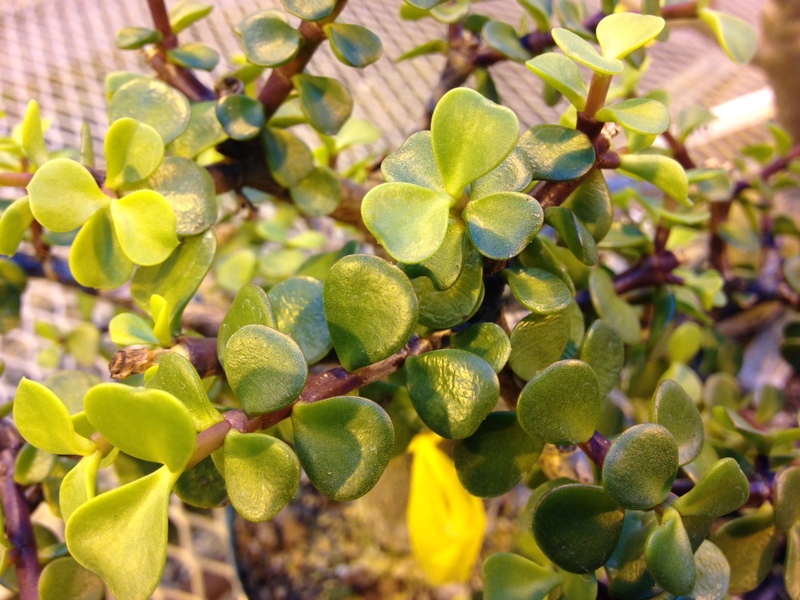 Baby jade (Portulacaria afra) is a succulent bonsai. Well-draining soil is important to the health of this tree. Over-watering is one of the main problems with this species. The leaves should be shiny and plump when it is well watered. Wait until the leaves start to shrivel just a bit before watering. Dull, shriveled leaves are a sign the tree is very dry or unhealthy. Junipers make great bonsai material. They can be stored indoors, but require very high light levels and do not like to be over-watered. Many people store their junipers in a protected cold area for the winter. Knowing the source of your juniper gift is important. If the tree was purchased from a tropical climate and you put it outside, it will most likely not do well with the abrupt change in temperature. 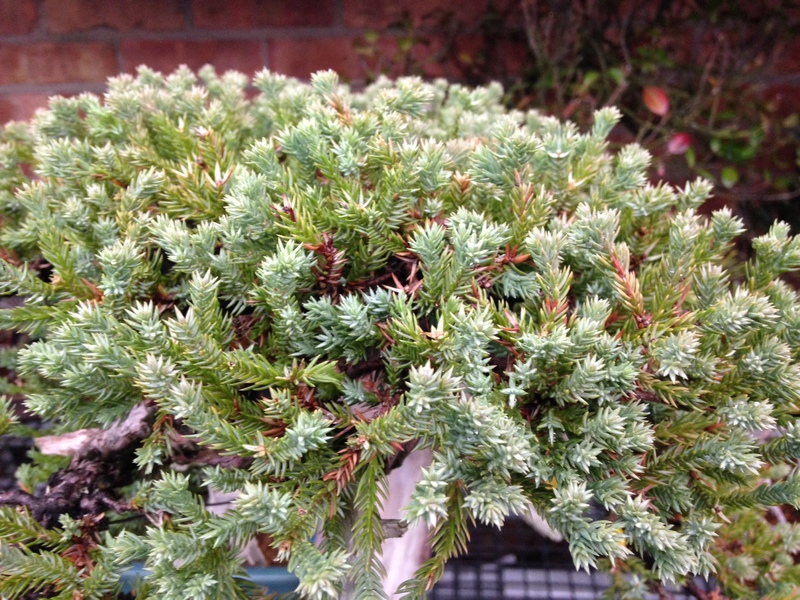 Likewise, if you get a juniper that was in winter storage and bring it indoors, that tree will suffer too. When giving a bonsai as a gift, be sure to include care information to ensure your friend or loved one will have to tools to maintain this wonderful gift of bonsai. If you receive a tree as a gift, get as much information as you can on that tree to ensure you can properly care for it. Just in time for those getting bonsai this season: our beginner bonsai class here at the Chicago Botanic Garden begins Tuesday, January 12, from 6 to 9 p.m. and runs for six weeks. Also be sure to check out our one-week bonsai workshops on a variety of topics.